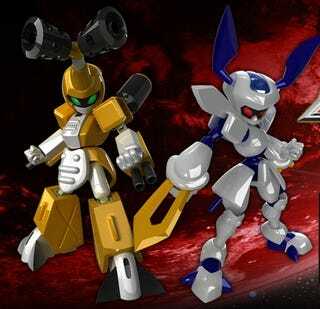 On June 4th, Rocket Company has opened the official site for Medabots 7 Beetle/Stag Beetle Version on the 3DS. The game will be released on September 9th in Japan. For those of you that have never heard of Medabots, the game was first released in 1997 and had its own TV anime series that aired from 1999 to 2000. The story revolved around Medabots (duh)—which were personal robots that could be customized to be your very own one of a kind robot—in a future-set world where duels between Medabots was considered a popular sport. The official site is still under construction, and further information will be added in due time.